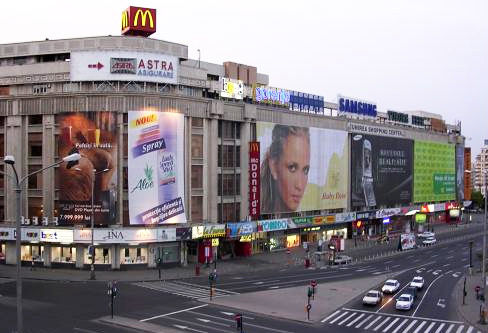 Is location a key factor for shopping centres in Bucharest? Retail property has returned an average of 9 per cent since 1980, but although currently is returning just above 6 per cent can still be seen as a good investment opportunity. Location is essential to retail property. It must provide an easy access and convenient for shoppers to get to. If you want to buy a shopping centre there are some very good reasons you should do it. One of them is that the shop around the corner is becoming extinct because gas stations and convenience stores have more things to offer. Also strip shopping, meaning a place with a row of shops on a main road, has declined in recent years because the rents are rather high in these areas, as is the purchase price. The regional shopping centre is the one which is fast becoming very popular as they turn into lifestyle centres rather than just a place to buy groceries. Having the opportunity to go to the movies, bowling, have a coffee, meal or even a massage, as well as shopping is becoming more and more appealing. 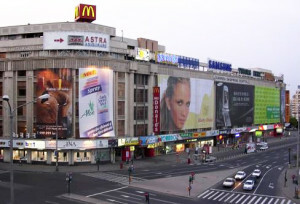 Taking into account the size, very large commercial spaces are found almost exclusively in Bucharest (see http://businesses-properties.com/shopping-center-on-sale-in-bucharest-romania/), while small size commercial spaces are predominant in all the other areas. When speaking of the Gross Lettable Area (the space available), small size spaces account for around 94% of the total GLA, in the Central region of the country and approximately 88% in the South West. Medium size commercial spaces are geographically more dispersed, but also have the highest proportion in Bucharest and the South Eastern regions. For a future shopping centre to be successful, investors will have to identify and target those areas with high or medium potential in terms of revenues (i.e. high density and/or high purchase power) but with a low shopping centre space.Romania’s largest cities remain the places where large and very large size shopping centres are mostly found. The location in the city and the access to the shopping centre can definetly make the difference between a successful and a less successful shopping centre. A crucial factor for the performance of shopping centre is the ease of access, either by car, public transportation or on foot, an aspect closely connected to the shopping centre’s location. Yet, a less attractive location (further from the city centre) can still be easily accessible if there is a subway station near by or if located near a large residential area. As already mentioned, small size shopping centres have an advantage in this respect than large or very large ones, which are in most cases located on the boundary or outside the city. The access and location of a shopping centre is influenced significantly by whether there is or not sufficient parking place. In crowded areas, such as Bucharest, the absence or insufficient parking space is a very important factor. Being rather difficult to improve or enlarge existing parking facilities, the number of lots and quality of parking will turn into challenge. Large centres sell in general “for the weekly demand”, meaning that customers buy larger quantities. In that case, accessibility by car becomes more important than public transport or pedestrian access. In conclusion, as the market matures choosing the proper location will be the real challenge for a stronger dominance in the catchment areas.